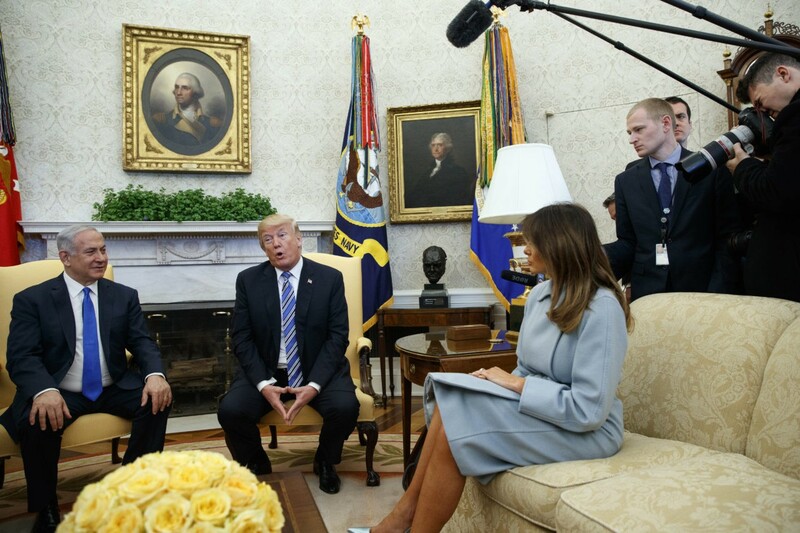 President Donald Trump and First Lady Melania Trump greeted Israel Prime Minister Bibi Netanyahu and his wife, Sara, at the White House paying homage to not only her famous ice blue Inauguration Day ensemble but also the nation of Israel. 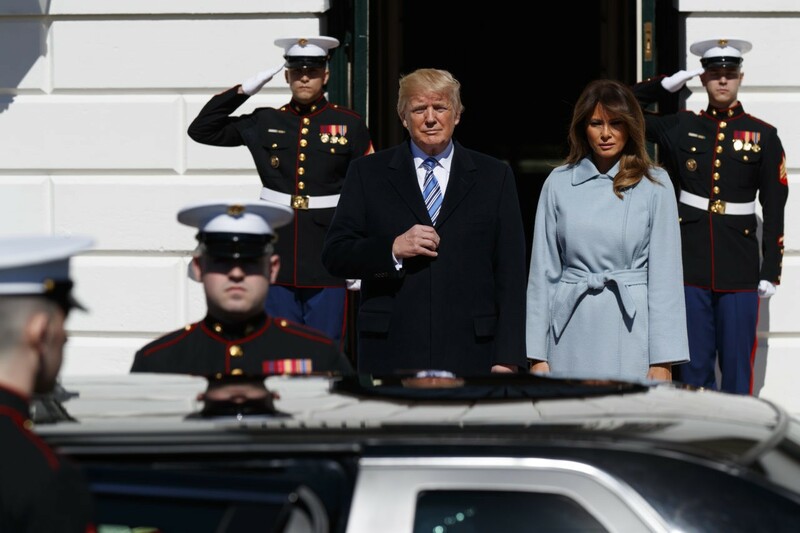 Mrs. Trump was all class in a laid back Max Mara coat in pale, ice blue — similar to her monochromatic Inauguration Day look — and metallic (Gasp!) ice blue Christian Louboutin stilettos. 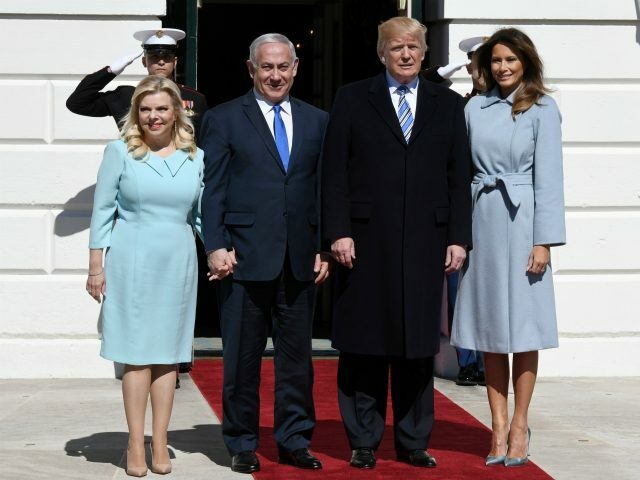 Mrs. Trump coordinated perfectly with Mrs. Netanyahu as the two walked together throughout the White House, each in a shade of blue. Mrs. Trump is definitely having her shades of cool moment in this beautifully colored ensemble. Refined and yet relaxed. Over the weekend, Mrs. Trump arrived back at the White House following a Palm Beach weekend getaway trip with President Trump, wearing a cape and a pair of red snakeskin Christian Louboutin stilettos. 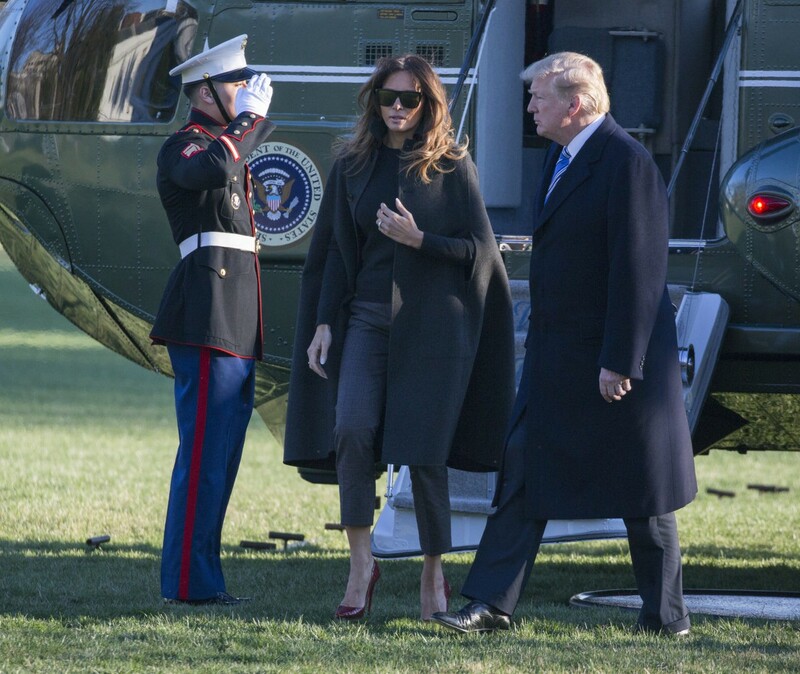 Mrs. Trump strutted across the South Lawn of the White House wearing a cape by Italian fashion label, Bottega Veneta, and a dark grey cashmere sweater. 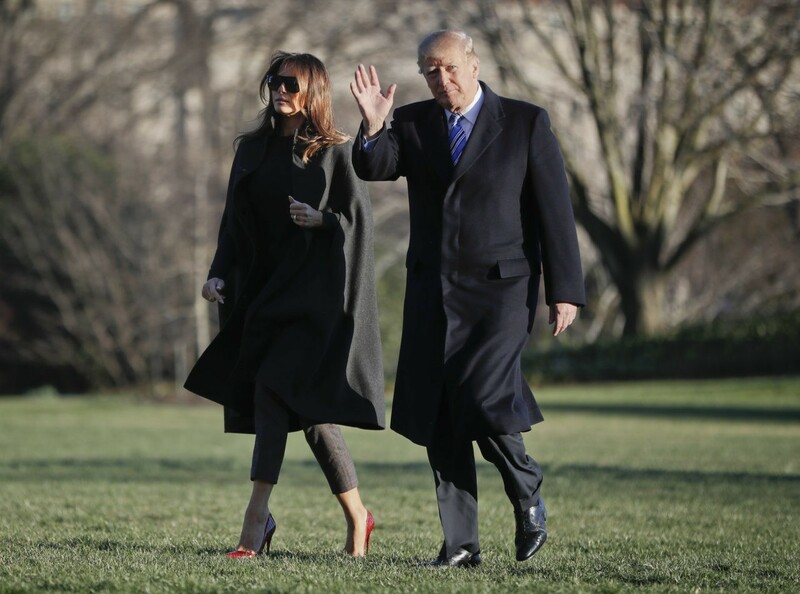 Mrs. Trump’s trousers, cut above the ankle (her favorite pant silhouette), are by Michael Kors and retail for about $785. On her feet, Mrs. Trump brought in a pop of color, wearing a pair of Christian Louboutin stilettos that featured bright red snakeskin motif to tie in the small red check on trousers. To top the look off, Mrs. Trump threw on a pair of chunky black sunglasses.